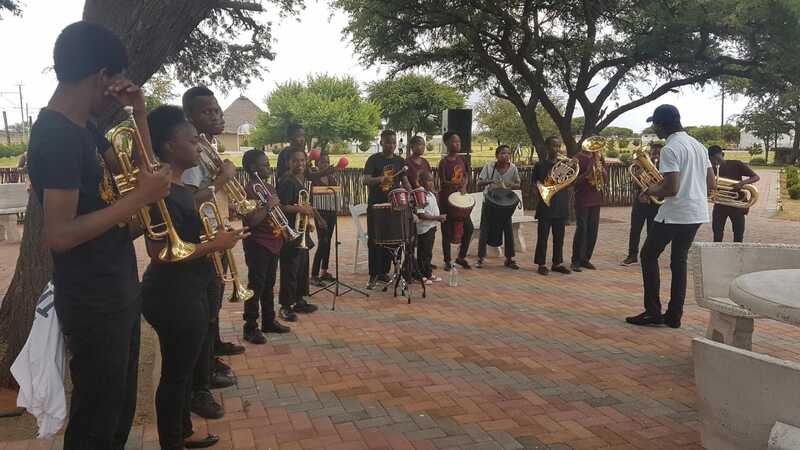 Emathongeni performing at launch of NCTA's Summer Campaign. 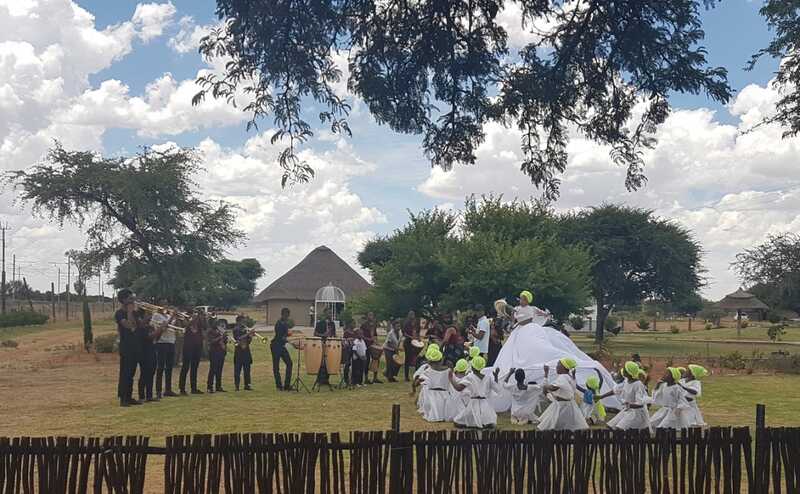 The Northern Cape’s tourism promoting agency – The Northern Cape Tourism Authority (NCTA) – has unveiled a new heritage route called the Go Ghaap Route which straddles the towns of Kuruman, Kathu, Deben Olifantshoek, Postmasburg, Danielskuil, Griquatown, Barkley West and Campbell. She detailed its highlights as such. Camelthorn forest, ancient geology and bush retreats. In tourism being everyone else’s responsibility as stated by Lewis. Officials from the Department of Environment and Nature Conservation were at hand, explaining on the completed refurbishments at four of the provinces reserves under their control. It’s time for a road trip to Rolfontein, Doornkloof, Goegap and Oorlogskloof for some angling, hiking, 4×4 routes, day visits, canoeing and birdwatching. #ShotLeft and experience the new in the name Go Ghaap Route and the freshness in the refurbished reserves. Earlier this week, MEC for Tourism Mac Jack encouraged travelers and visitors to visit the nearest Tourism Information Office to attain a copy of the Summer Booklet for information on “the most interesting things to do and see in the Northern Cape.” Also for free is the Northern Cape Travelling Map “to help you find more interesting things.” The NCTA reaffirmed that it will stage Summer Campaign activation points on the N1 stretch on the outskirts of Colesburg, Kimberley Flagship Office at the Big Hole, N12 Shell Garage and the Caltex filling stations at Britstown and Hanover. 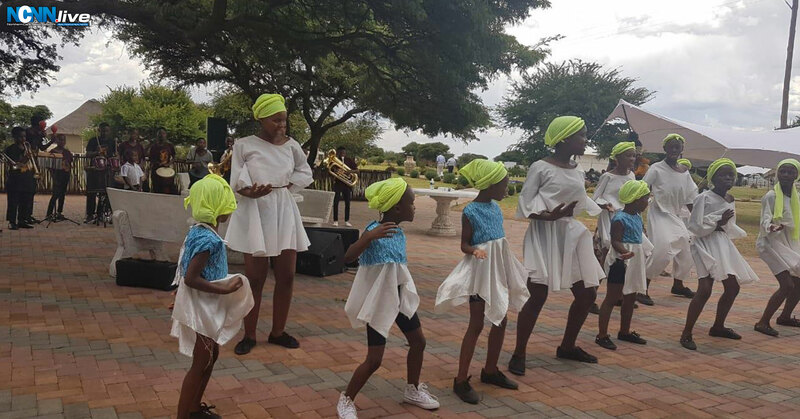 Young cast members of Amandla Danca Teatro performing at launch of NCTA’s Summer Campaign. 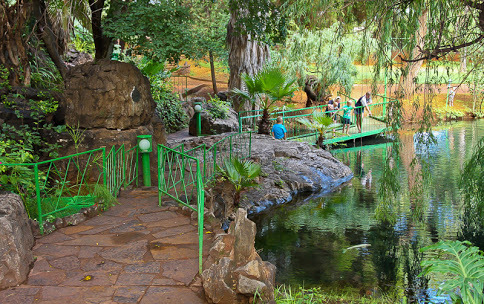 Picture sourced: The Eye at Kuruman is a natural spring.